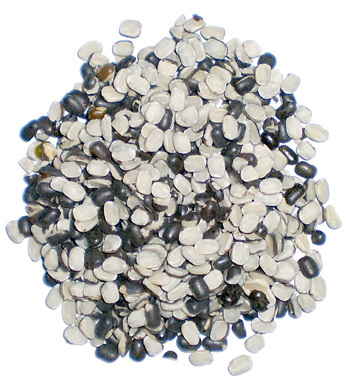 Urad dal is also known as black gram or black matpe beans. Urad dal has somewhat shiny black coating and white pod. It is either sold as black whole bean, black and white split bean (as shown in picture above) or white coat removed bean. Urad has high glutamate (glutamic acid) content, which the amino acid responsible for umami (meaty) flavor. Monosodium glutamate (MSG) is commercial example of glutamate food additive.Urad is used throughout the Indian subcontinent as dal. It is often used in south Indian cooking for making dishes such as uttapam, upama, dosa.